Thick with stars all the way down to the tree line. Using high powered flashlights to spot the eyeshine of crocodiles, kinkajou, coatimundi, raccoons, birds, resting iguanas, and much more! Go through the tiny cut to the lagoon and you are surrounded by the giant mangroves and then shoot out into the lagoon which boasts bioluminescent plankton that lights up with any disturbance in the water. It’s pitch black, the guide’s flashlight beam cutting across the lagoon is the only light and then he turns it off, the boat picks up speed and the wake glows to a blue light. 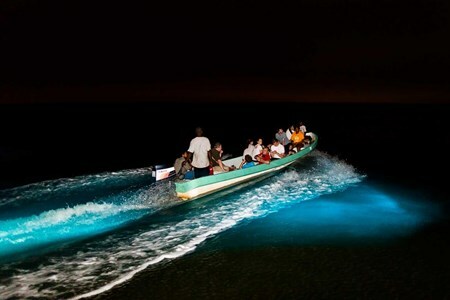 As the boat pick up more speed, the tiny algae, which settle in the lagoon during the dry season, get agitated and glow. It’s absolutely unbelievable. Our guide will stop the boat and you just stare into the water. Schools of fish or any marine life swimming through the lagoon create a phosphorescent trail which can look like a glowing cloud in the water. Hundreds of jelly fish pulsating in the water. They feed on the algae – it’s all along their edges and inside them. Just moving your hand around in the water is miraculous. You leave aqua blue glowing blue bubbles. A swim in these waters is almost irresistible so we recommend you wear your swim wear and bring along a towel. 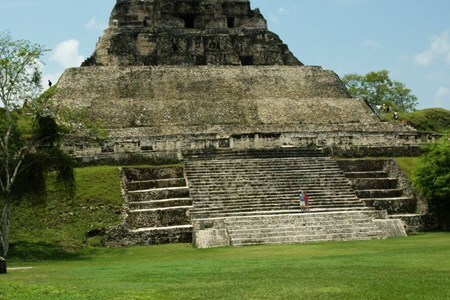 Depart for a day of Mayan historical adventure to see some of the finest Maya Ruins in Belize. 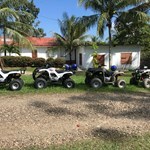 The drive through the hummingbird highway and the western villages of Belize is a cultural ... moreexperience with first hand views of the mayan mountains, orhcards, colorful homes, schools and market-places. Xunantunich is located in the Cayo District across from Benque Viejo Road near the village of San Jose Succotz just a few miles from Belize’s western border with Guatemala. At the village of San Jose Succotz, we cross over the Mopan River using a hand-cranked ferry. From the other side of the river, it’s a mile uphill to the site, which can be accessed on foot or in a vehicle. Xunantunich Mayan ruin, also known as the “Maiden of the Rock” is the second tallest Mayan ruin in Belize. The largest pyramid, El Castillo stands 130 feet high above the main plaza and offers an impressive panoramic view of the Cayo District, Guatemala, and the Mopan River. The site has been largely excavated and has a well-appointed educational museum. Experience an authentic Belizean lunch in the immediate area of the ruins. Dress in our Garifuna Traditional handmade & uniquely designed clothing that is best for the subtropical climate for the duration of your Garifuna Experience. Explore the rich legacy of the Garifuna People via our Cultural Display Centres furnished with historical art pieces some of which are over 100 years old. Get to uplift your spirit with the enchanting paintings of Isiah Nicholas as you explore our Spiritual Centre. We are blessed to house his largest art collection depicting a varying aspect of the Garifuna Cultural inclusive of the historical journey of our Garifuna People, our spirituality, music, and many of our indigenous art forms, all displayed in their rich & vibrant colors. Learn about the many magical & beneficial properties of coconut trees & coconuts and the art of traditional coconut harvesting, husking, grating & milk extraction. 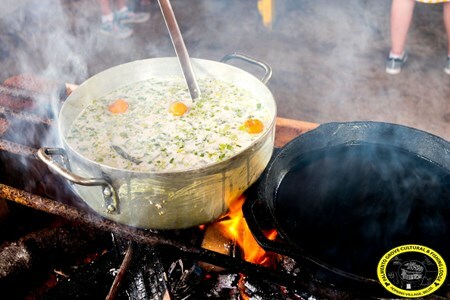 Master the heat in our traditional kitchen preparing a Garifuna meal over an open fire-heart. Your great reward will be the labor of your culinary love - Delicious HUDUT which is our coconut base chuddar/ broth flavored with fresh herbs & sea fish of the day with pounded plantains & well flavourfully seasoned fried fish; or any other Garifuna Dish of choice based on dietary preference! Culminate your Garifuna Cultural & Culinary Tour with sensational drum rolls learning the basic techniques of Garifuna drumming & Music & revitalizing your souls ultimately earning your delicious cultural dessert by way of participating in 45 minutes mesmerizing drum session. All participants will be provided a life jacket and helmet. This tour begins just before daybreak with a drive through Sittee River where the lush vegetation attracts many species of birds in Belize. Be sure to keep your eyes open and your ... morebinoculars handy as you are bound to encounter spectacular plumage, stirring calls, and the steady drumming of a hummingbird’s wings. Some of the tropical birds often spotted in the area are keel-billed toucans, fork-tailed flycatchers, tropical kingbirds, and Amazon kingfishers, blue crowed mot-mot and harpy eagle. 1-1.5 hour tour through Lish greenery, botanical gardens, a dry cave, and ends at a river. Cook your catch on the beach! 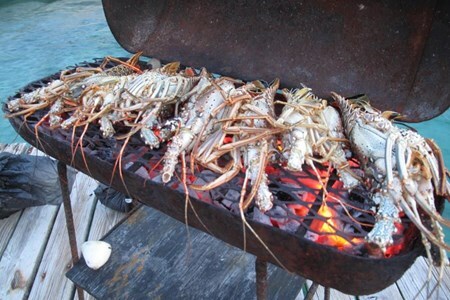 What’s better than a full day trip of snorkeling, fishing and beach cooking on a secluded beach in Southern Belize? It’s intimate, fun, tasty ... moreand very inexpensive. You are taken out on this adventure trip on one of our boats to the southern barrier reef for snorkeling and fishing. Your captain will take you to his favorite spot for your chance at catching snapper, grouper, barracuda, lionfish, lobster (seasonal) and conch (seasonal). After snorkeling, you’ll get on board and your guide will whisk you away to a private island where you will be able to cook your fresh catch! Your guide will cook your catch right in front of you on the beach ensuring the freshest & best cooking experience possible. Feast on your freshly grilled catch and delicious sides. After lunch, relax on the beach and enjoy an afternoon swim or snorkel, before heading back to the mainland. You come to the beach, eat, drink and be merry. It’s that simple. Belize Cave Tubing and Zipline at Jaguar Paw Jaguar Paw is a beautiful, pristine natural area located near Belmopan in central Belize. 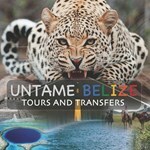 Located less than an hour’s drive from ... moreBelize City, the Jaguar Paw area contains a section of rainforest as well as a deep cave with an underground creek running through it. Cave tubing is a uniquely Belizean activity that refers to floating through underground cave systems on inflatable inner tubes. This tour includes an experienced, professional. Head lamps, life vests, and the inner tubes will be provided. Boarding the inner tubes, participants will be guided by the tranquil currents into the Jaguar Paw Cave. Once inside, the light from the head lamps will reveal a lost world of sparkling stalactites and stalagmites. Floating through this subterranean world is a great way to relax as well as enjoy the beauty and wonder of the complex cave formations. After spending a few hours marveling at the majesty of the Jaguar Paw Cave, participants will then enjoy a thrilling adventure, sailing through the rainforest on a series of zip lines. 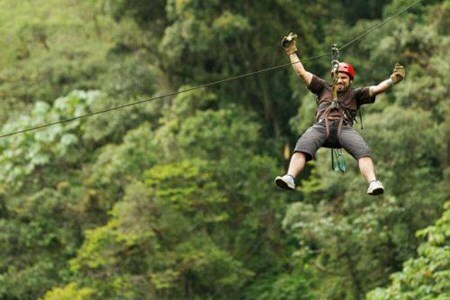 Zip lines are sturdy metal cables that run for hundreds of feet through the jungle canopy. Participants climb to platforms mounted high up in the trees and then are attached to secure harnesses that are attached to the cables or zip lines. Participants then launch themselves into the air, sailing at high speed through the rainforest, giving them a bird’s eye view of the plants and animals that call the canopy home. 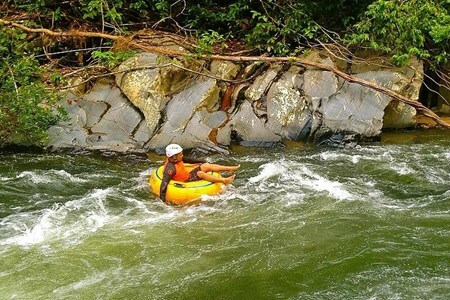 In order to fully enjoy this combination cave tubing and zip line tour, participants are encouraged to bring their cameras, a change of clothes, a swimsuit, sunscreen, sunglasses, and sturdy hiking shoes. Children can participate in this tour as long as they are at least four feet (1 meter 20 cm) tall. 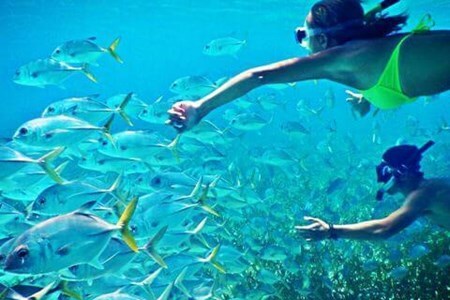 Our snorkeling tour takes you on a 30-40 minutes boat ride to the Southern Barrier Reef which offers several different snorkeling sites within the reserve for beginners and experienced ... moresnorkelers. Our experienced guides take you on an underwater adventure. Snorkelers often have close encounters with eagle rays, sea turtles, a wide variety of exotic fish, and even dolphins or friendly nurse sharks! 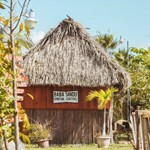 Experience a bit of island life on this snorkel adventure as we normally stop at Bread and Butter Caye for some beach-combing. The ATM Cave is a wet cave – you swim into the mouth and then wade through ankle to chest high water before climbing to an intricate passageway of dry chambers which lead to the cathedral-like ... moremain hall, a towering chamber 350 meters in length and 50mteres wide and filled with artifacts and sacrificial remains. After this another climb takes you to the stone chamber where the Crystal Maiden lies, this is the skeleton of a teenage girl who was sacrificed and left in the cave. 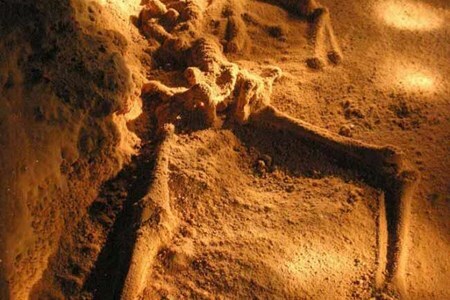 Over thousands of years, her remains have been covered by a layer of diamond-like limestone. The Mayas sacrificed humans in the hopes of appeasing the gods and bringing fertility to the land. 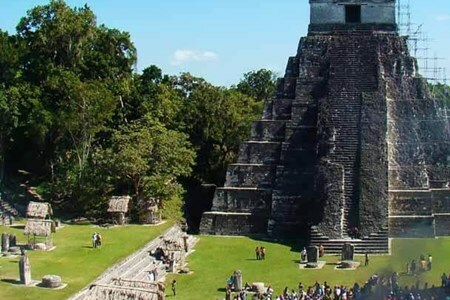 This is an extraordinary Belize adventure and a rare opportunity to see ancient Maya ceremonial sites and altars as they were and virtually untouched for centuries. The Belize Zoo and Tropical Education Center was started in 1983, as a last ditch effort to provide a home for a collection of wild animals which had been used in making documentary ... morefilms about tropical forests. 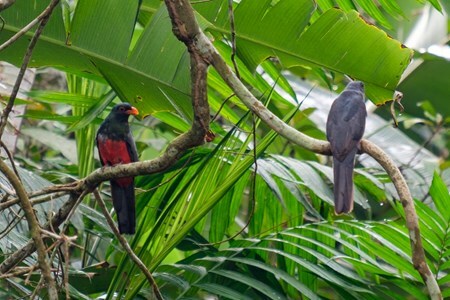 Today, The Belize Zoo and Tropical Education Center is settled upon 29 acres of tropical savanna and exhibits over 150 animals, representing over 45 species, all native to Belize. The zoo keeps animals which were orphaned, rescued, born at the zoo, rehabilitated animals, or sent to The Belize Zoo as donations from other zoological institutions. 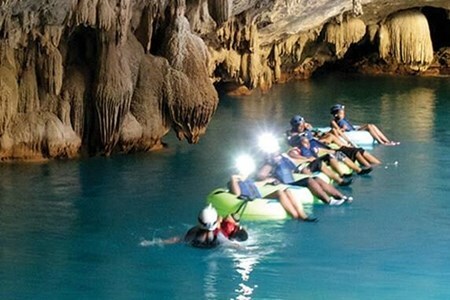 This is a combination of cave exploration and cave tubing to explore this incredible river cave system. Imagine the excitement as you drift downriver, your body tucked in an inflated ... moreinner tube, your fingers trailing in the crisp clear river and up head is the vine-draped opening of a mysterious cave. With your headlamp at the ready, your body relaxed and your guide leading the way cave tubing offers an exhilarating alternative combination of rainforest and caves experience. The cave tubing takes about 2.5 hours. The Farm In this tour, you will take a one hour hike at our farm. While you are there you will see where cacao trees flourish, and you will get your mind blown away with genuine facts ... moreabout cacao. You will get to see varieties, more than just cacao trees. In a diverse jungle, plants, and animals, we will show you our medicinal plants and our vegetable garden. We then complete the tour by making your own fresh sugar Cane juice... Yum! Insect repellant · Sunscreen · Hiking boots · Outdoor clothing such as; long pants, long sleeve shirt and/or a hat. · Water bottle (we will provide refills) · Camera and Binoculars for unexpected Birds or Monkey Surprises! Back to the chocolate facility, here you will be greeted by the exotic aroma of a chocolate heaven. As you make your way to chocolate heaven, where a table awaits you, to indulge in a hot cup of hot chocolate, sample some of our naturally flavored chocolate and make your own chocolate using our stone tools. Immediately after making your chocolate we take a look at our processing facility and our gift shop. After which lunch is served by the one and only Chocolate Queen, “Abelina Cho”. For an unforgettable, Maya cuisine. Like everyone says” sauce is boss”, if you have heard of the chocolate Queen then you’ve heard of the CHOCOLATE CHICKEN! 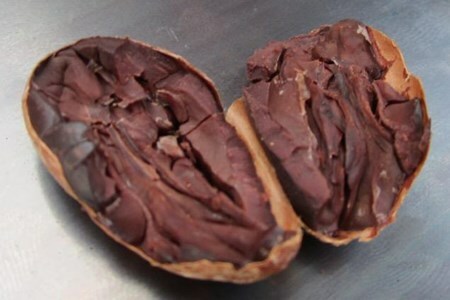 Yes, that’s right IXCACAO is the home of the original chocolate chicken made with our very own dark chocolate. This lunch will give you the energy of a lifetime. 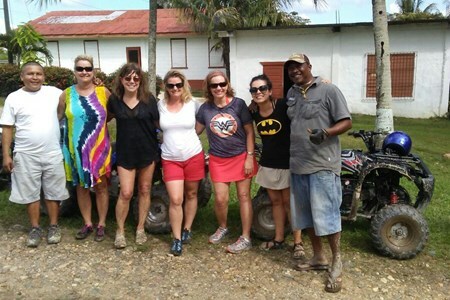 Belize Mayan Chocolate Tour You’ve probably enjoyed tasty chocolate treats your whole life without ever knowing where it came from. 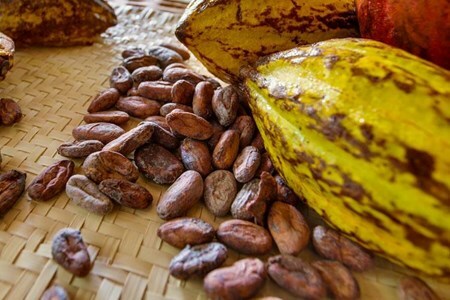 This tour is perfect for chocolate lovers ... moreas you’ll get to learn about the traditional Maya method of making chocolate, starting with the cocoa bean and continuing all the way to the finished chocolate bar. This tour starts with learning how cocoa beans are extracted from the pods, fermented, dried, and then prepared for making chocolate. Participants will then be able to eat and enjoy their creations. Note: All chocolate is grown by local farmers and is certified organic. Your tour guide is with you the whole way to fill you in on the history of the area and answer questions. At the border, you will be assisted through all the stamping and fees by your ... moreguide. For the next three and a half hours, time will rewind a thousand years. You’ll hear the howler monkeys echoing off the temples and the spider monkeys swinging tree to tree. 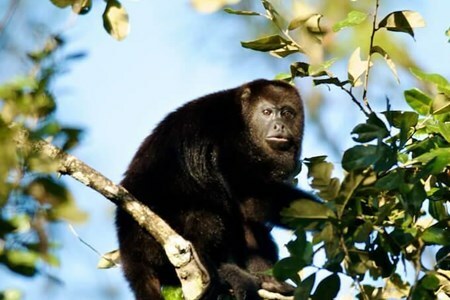 Tikal is host to toucans, coatimundi and a million other creatures great and small. Ruins will rise before you as they did in the days of antiquity like a stairway to heaven, as you follow in the footsteps of the ancients. After you leave the park, there will be an opportunity to pick up memorabilia, then it’s back to Belize. Your guide will be there once again to ensure a safe and speedy crossing from Guatemala back into Belize. 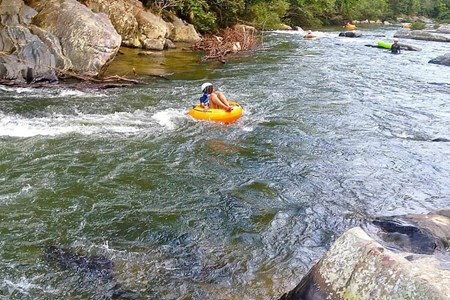 Zip Line & River Tubing COMBO Why not have both?! 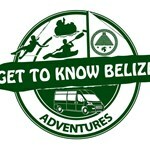 Enjoy a longer stay in the beautiful Belizean jungle and partake in our zip line and river tubing tours. You will travel south by boat along the mangroves and up the Monkey River with a Monkey River resident and Licensed Tour Guide leading the walk you will go through a pre-cut trail ... moreand have the unique opportunity to see green iguanas, gibnut, crocodiles, and black howler monkeys. 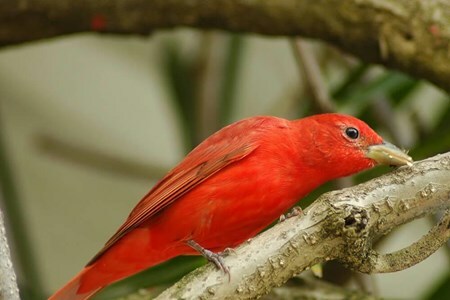 For bird lovers, this is your opportunity to add some exotic species to your list. The trip also includes a visit to the Village of Monkey River and a local style lunch. Monkey River Town is the northernmost village in the Toledo District. This small, sleepy Creole village of 200 people sits on the southern bank of the mouth of the Monkey River. 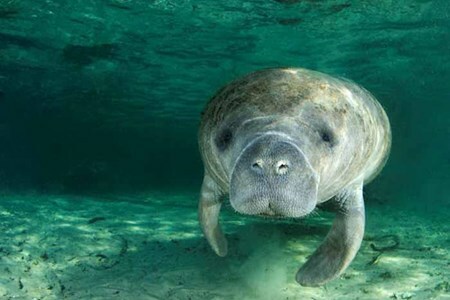 Watch for the Manatee on the return trip. Get the most bang for your buck with our fishing and snorkelling combination trip. 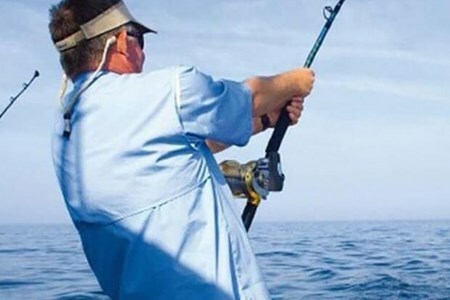 Start your trip off by catching fresh bait with cast nets near the mangrove formations then spend ... morethe morning fishing along the barrier reef. As the day warms up, stop for a lunch break at Bread & Butter Caye. From here, jump into the water for some world class guided snorkelling. This is a perfect day for those wanting to experience both fishing and snorkelling in one trip. 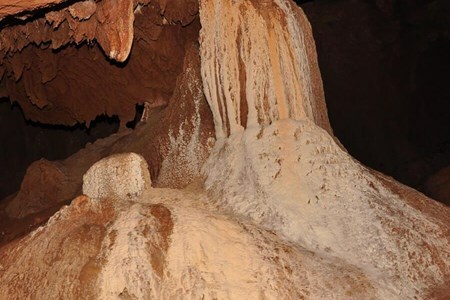 The steep downward walk that takes you to these caverns takes around one hour. Then, at the mouth of the cave, you’ll follow the same footpaths the Maya shamans and priests once traveled ... moreto reach these ceremonial chambers. Along the way, you’ll marvel at all the Maya artifacts, including pottery, beads, and obsidian knives – even human skeletons that have been calcified in the limestone floor dating back 2,000 years.